Juana is making a step towards making her dream a reality! Marcos wants to be a tourist guide! Domingo dreams of being a great painter! Martín wants to be a music teacher! Cristina wants to give back to her community. Maria thanks everyone for the support! Catarina is excited to learn more about computers! Miguel dreams of becoming a lawyer! Claudia wants to help her family have a better life! 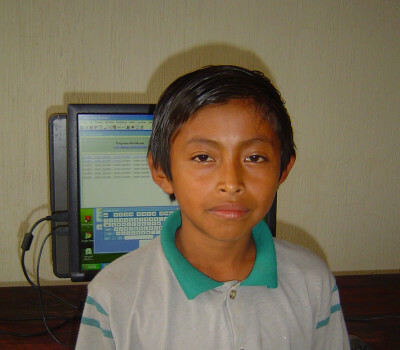 Juana looks forward to a year of computers!